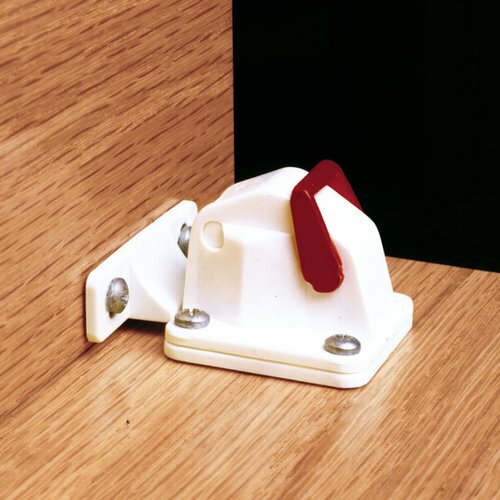 Keep your cabinets locked with the Rev-A-Lock magnetic locking system from Rev-A-Shelf. Only the special key will open the lock. 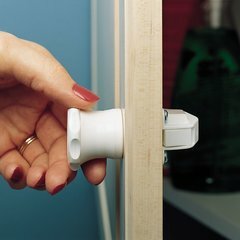 I had searched for this lock solution on-line and chose CabinetParts.com as my vendor. Not only were the locks exactly what I was needing, but the customer service I have experienced so far has been top notch.The lock set was complete with 5 locks and 2 keys as described and at a better price than I found elsewhere. The order was processed and shipped quickly. I received communication every step of the way that was concise and not invasive in nature. The package was delivered unscathed with the actual box of locks and keys in a smaller box nested within the delivery box. These locks are well built and have performed flawlessly.I have added CabinetParts.com as a favorite for future purchases. 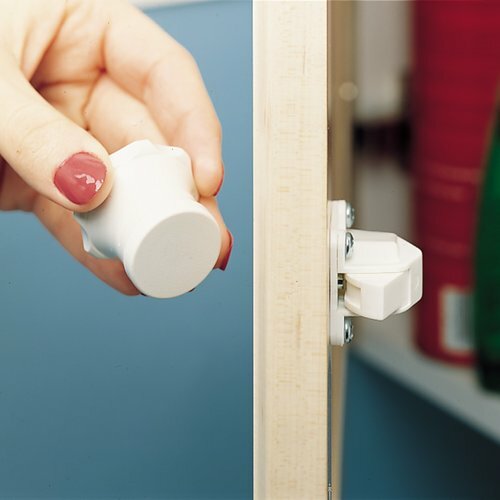 We absolutely love these new magnetic cabinet locks! The kitchen looks so much nicer without those plastic door handle latches and the two year olds can't get into the cupboards any more as they had figured out the old latches. They have figured out the magnetic ones, but can't open them unless we give them the key. Love it. It does require a little more skill to install than I have but it works fabulous when it is done. Worked perfectly and was shipped to me quickly.